It’s the weekend! Three of our favourite words ever. Especially when we have some free time to explore London, and the sun is just starting to peek out from behind the clouds. And you want to know another of our favourite words? FREE. So, here are our top picks for free things to do in London this weekend. If your hangover from Friday night has suitably subsided, head along to Trafalgar Square on Sunday, where London’s Irish contingent will be celebrating their patron saint – again. If you’re craving some greenery but aren’t quite ready to brave London in the cold, head to the Sky Garden, perched on top of 20 Fenchurch Street in that huge glass dome. There are three storeys of exquisitely landscaped public gardens to explore, with 360 degree views of London, and plenty of options of food & drink afterwards too. Visiting the Sky Garden is free, but you must book tickets in advance. While we’re on the subject of greenery – head along to Columbia Road flower market on Sunday to really get that Spring feeling. A myriad of beautiful flowers will greet you, with some pretty special bargains later on in the day. Go for a mooch, or load up on stems to make your home blooming marvelous. Open from 8am – 3pm. More info here. I grew up reading Beatrix Potter’s 28 books, and this exhibition at the V&A Museum highlights the author’s work. If you fancy a bot of childhood nostalgia, head along to this free event which is open until 28th April. Treat your Mum to something new and original this Mother’s Day (next weekend, in case you forgot!) and get her something special at the E17 Designer’s Market. Art, Ceramics, Jewellery, Handmade Silver pieces, fashion, bags, soaps, candles, handmade greetings cards and of course CAKE. The market is open both Saturday 18th and Sunday 19th March at the Hoe Street Central Pop Up Shop (137 Hoe St, E17 4RT ) from 10am-6pm. I know, I know, we’re talking FREE, so West End show’s can’t be included, right? WRONG. And although you may not be able to get free tickets for this weekend – you can certainly start lining them up for future fun. How? Simple. Join one of these amazing clubs (The Audience Club, My Box Office), who work with theatres to put bums on seats. And that means – free tickets for their members. There are some (fair) rules you must adhere to, but FREE TICKETS. If you’re a theatre fan, Go. Stop wasting time! Head to one of The Angel Club’s two venues (The Camden Head or The Bill Murray) on both Saturday and Sunday (or 7 days a week, to be fair) for free comedy performances from both up and coming, and HUGE stand-up stars, testing out their routines. It’s first come, first served, so get there early if you don’t want to be disappointed. 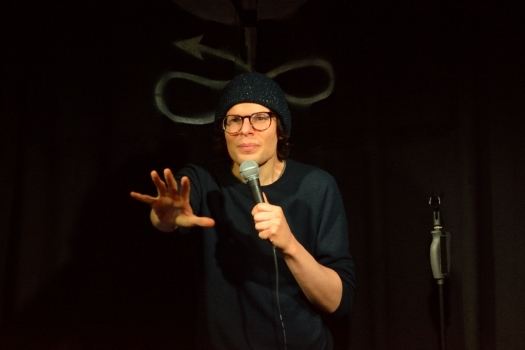 This weekend’s Comedians include Simon Anstell, Kate Lucas and Jake Howie. See more here. Of course, there are also heaps of free museums, exhibitions, parks and farmers markets all over the city.